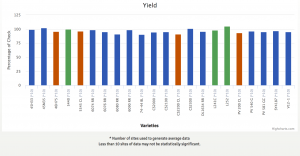 Canola variety results from the 2018 Canola Performance Trials (CPTs) have been added into the searchable database on the CPT website, so all your queries can now include 2018 data in addition to the 2011-2017 datasets. 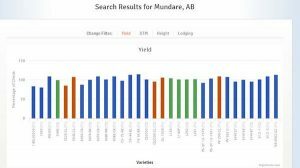 Find out average yield, lodging, height values or days to maturity for specific varieties or for all varieties grown in any number of years by using the searchable database at the bottom of the home page at canolaperformancetrials.ca. What is seed dormancy and why does it matter? 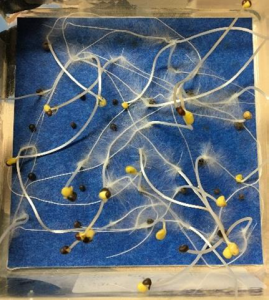 Dormancy happens when a canola seed experiences unfavourable germination conditions and ‘decides’ not to invest in germination until a later date. 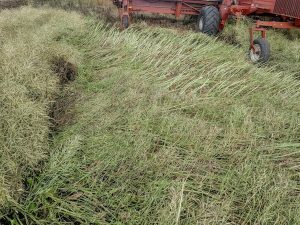 This is the main contributing factor in the persistence of volunteer canola, which may not germinate for years after the seeds first fall to the ground. 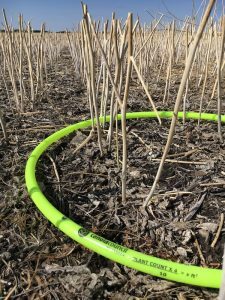 As canola varieties sell out, canola growers can research alternative choices at canolaperformancetrials.ca. 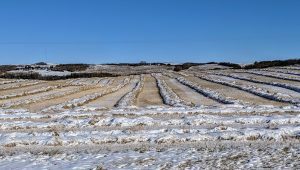 The website provides independent, third-party variety performance data from small plot and field scale trials across the Prairies. New seed selection guide is worth a look! 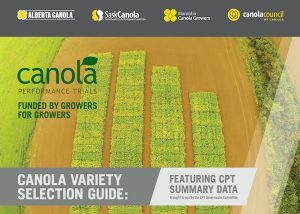 Whether making canola seed decisions for 2018, take a few minutes to flip through the new Canola Variety Selection Guide: Featuring CPT Summary Data. 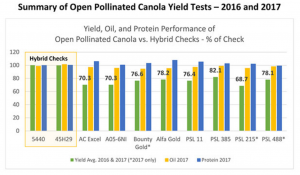 The team that brings you the Canola Performance Trials has released a new booklet that compiles data from 2011 to 2016. This quiz provides a good introduction to that useful seed-decision resource. 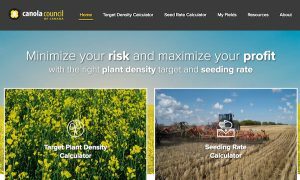 If you are already looking into booking canola seed for next spring, make sure you add the canolaperformancetrials.ca to your list info sources to check. 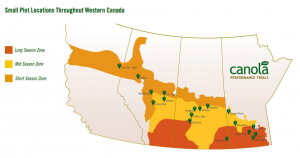 It features independent, third-party trial data on familiar and new canola varieties from both small plot and field scale sites all across western Canada. 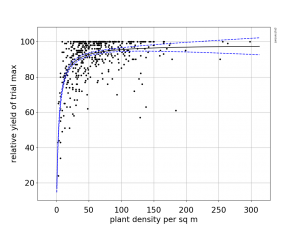 A large amount of high-quality data is ready for you to filter and search through, depending on what parameters you are most interesting in.